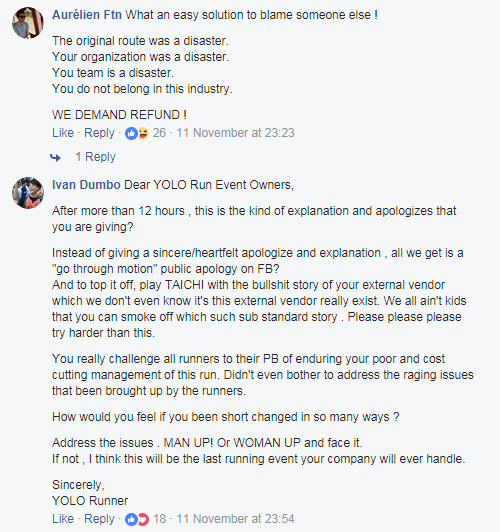 Event organisers of YOLO Run 2017 have issued an apology following backlash for the poorly organised event from race pack collection, route planning, race start times of the race to route distance management. 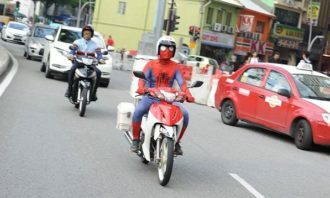 The event was organised by X-Change Republic, a local events company specialising in conceptual sports events, which also curates other sporting events such as DistricTee, RUN FREE and Runners League. 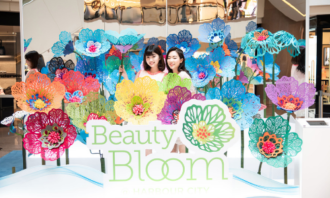 Sponsors for the event included official race sponsor 2XU, car brand Alfa Romeo, official timekeeper SEIKO, UberEATS, Ribena, Lucozade Sport, Wanderlust hotel, Manduka and The Vessel Studio, to name a few. 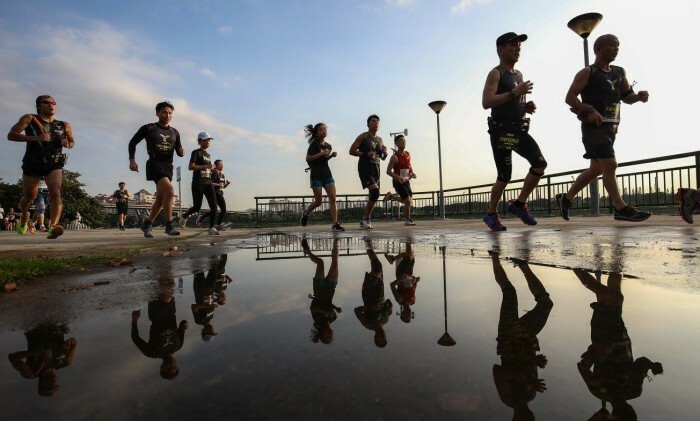 A quick check by Marketing found the YOLO Run also ran in other regional countries such as Malaysia, Hong Kong and Thailand. 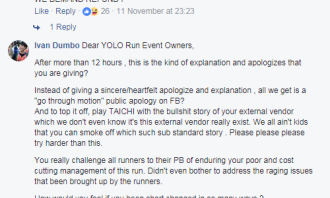 Clarifying the series of events on Facebook, YOLO Run organisers apologised for the poorly managed event at Singapore’s F1 Pit. 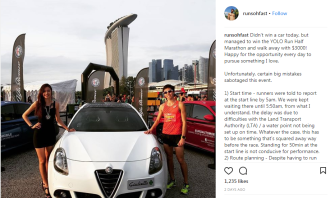 It explained that its half marathon was delayed due to “unforeseen obstacles” along its route, along with its external consultant making changes to the course without communicating to them. Marketing has reached out to the organisers for comment. 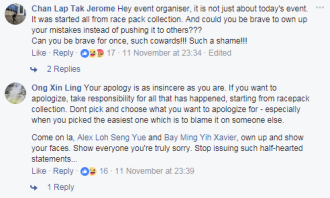 YOLO Run organiser’s apology however, did not sit well with netizens, who called the apology out for being “insincere” and one which pushed the blame to others. 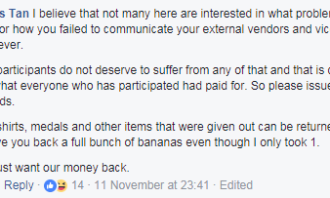 Comments which followed also called for refunds. 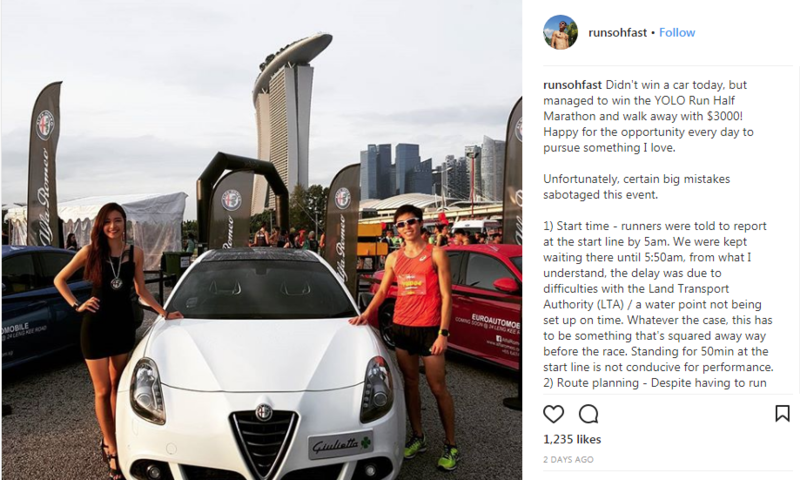 Also weighing in on the race was national runner Soh Rui Yong who was also present at the race. In a lengthy Instagram post, Soh explained that “certain big mistakes sabotaged the event”. 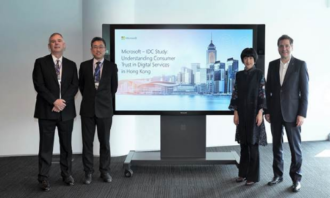 This included a 50-minute delay during the start time which was not conducive for runner performance, improper route planning and errors in route distance measurement. YOLO Run was not the only running event this year to run into hiccups. 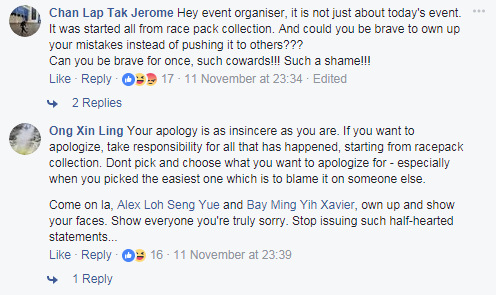 In March, OSIM Sundown Marathon’s event organiser, HiVelocity also issued an apology to runners for a delay in collection of their race packs. The delay, which angered many participants, was approximately two to three hours. The delays also saw collaborative effort from several sponsors and partners which pitched in to help. This included title sponsor OSUM, Sheng Siong and food vendor AMGB. 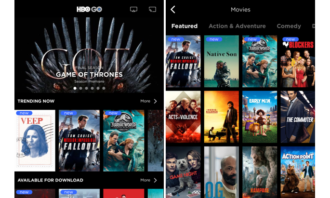 Brands have to either pay higher prices for premium inventory or reduce their buying criteria to meet their reach and awareness go.. 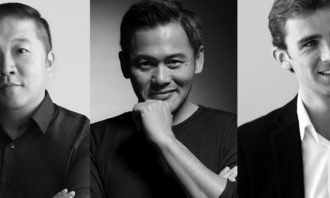 He has helmed award-winning campaigns including Singtel Hawker Heroes, SingTel Omni Channel Retail Transformation Project, and Sky..